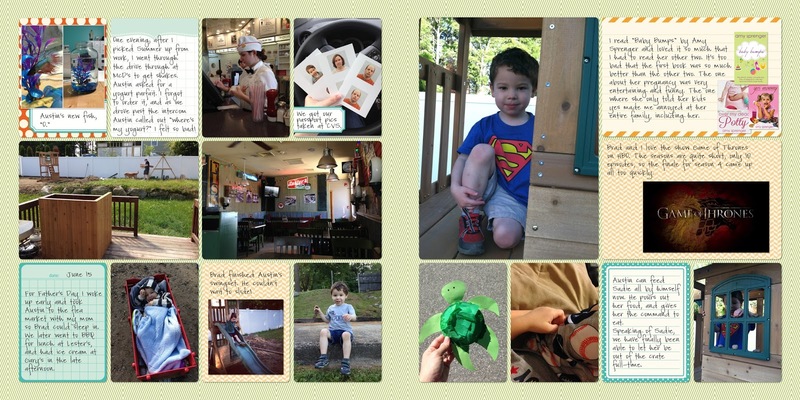 As mentioned previously, I have one "everyday" spread to share with you today, before posting the layouts I did for our vacation. I'm sure you'll all recognize this kit as the Project Life Baby Edition For Him. I actually love the colors in this kit, so I thought I'd just go ahead and use in on a regular layout. I just avoid any "baby" themed cards/papers. 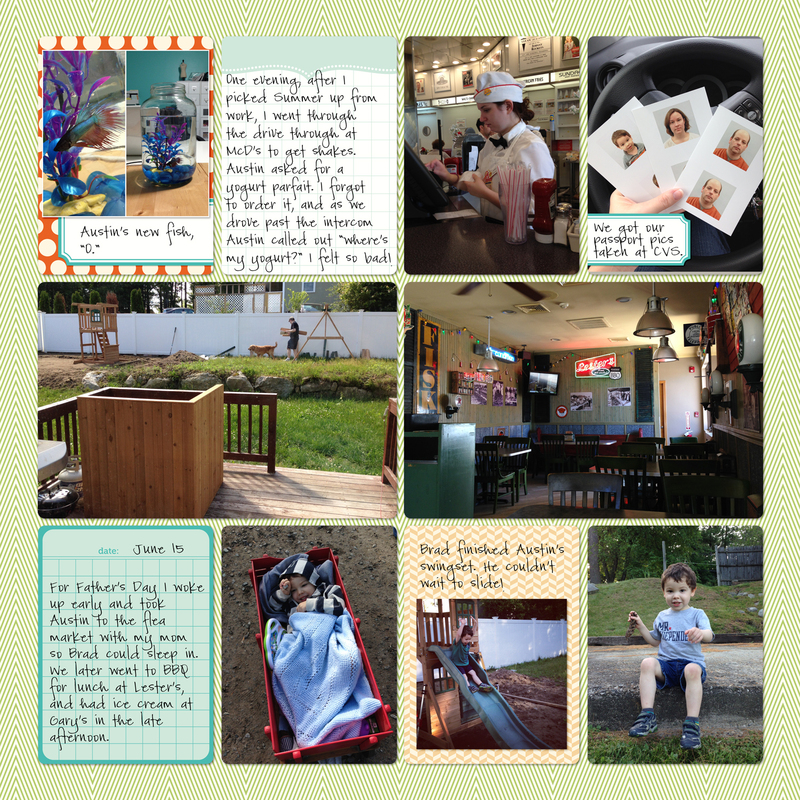 On the left page, I added in a photo of Austin's new fish, which he named "O," a photo of Summer at her job at Johnny Rockets (woah), a snap of our passport photos, and pictures from Father's Day. 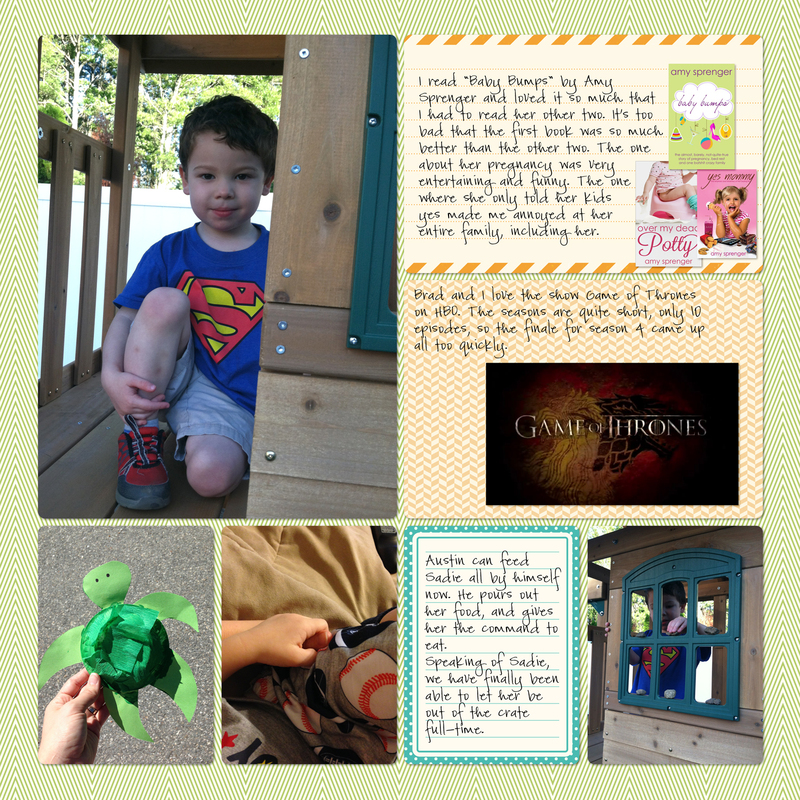 This right page is a bunch of randomness - photos of Austin on his new swingset, one of him holding my thumb as we curled up in bed, and notes about the Game of Thrones finale and some books I read recently. Tomorrow I am going to show you the three layouts I made for our vacation we took a couple of weeks ago...and then my first photo book for this year will be complete. 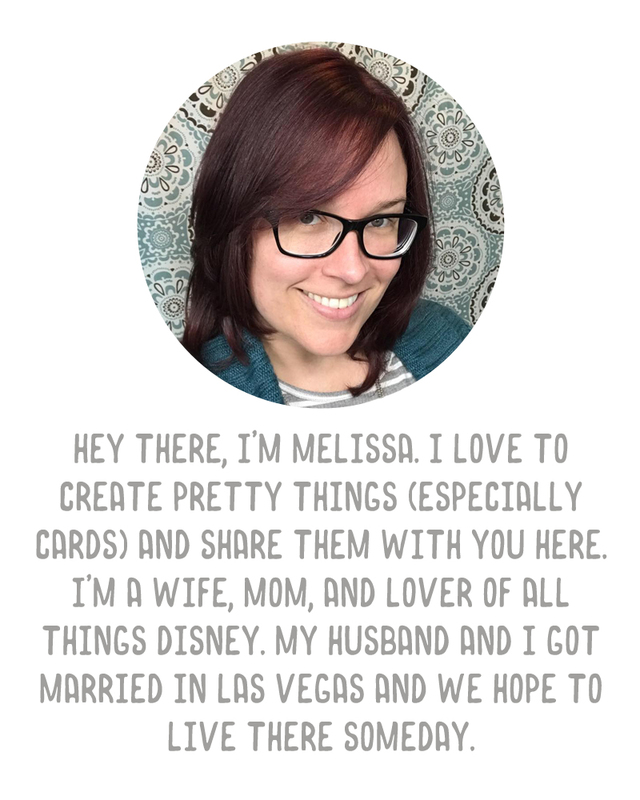 I'll prepare it on Shutterfly and print it when I have a good coupon code, as a 10x10 sized book. I will have a separate book for the second half of the year that I expect will look quite different than the first.